Pioneers in the industry, we offer brick making machines, automatic fly ash brick making machine, fly ash brick making machine and hydraulic brick making machine from India. We are engaged in manufacturing a wide range of Brick Making Machine, which is capable of working under high pressures. The machine is equipped with standard pumps and valves including other accessories. It is available in various sizes, shapes & dimensions and can be customised as per the requirements of the clients. 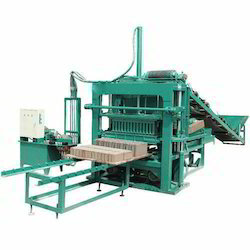 We are leading manufacturer of Automatic Fly Ash Brick Making Machine. No. Of Bricks/Stroke: 10 Nos. 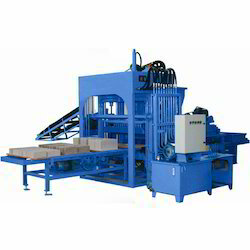 We are acclaimed in the market for manufacturing an innovative range of Fly Ash Brick Making Machine. We are one of the trusted names to offer Hydraulic Brick Making Machine for our valued clients. Provided range of machine is made from the high-grade quality raw material. Offered machines are widely used in construction industries. Offered range of machine is highly appreciated and demanded by our clients.